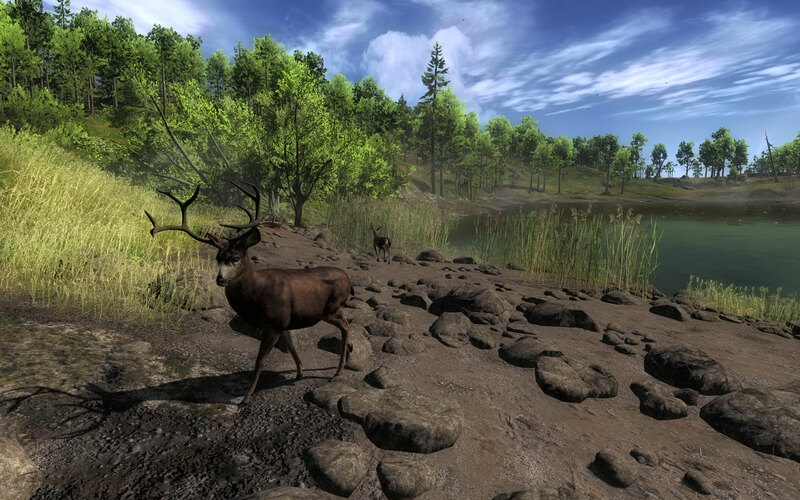 The Hunter is a free to play first person shooter hunting game, consisting of hunting animals. One thing I must say first is, for a free game it is a beautiful and realistic experience as a lot of work has been placed into creating this wonderful universe. When you sign up to the website before you play the actual game you are given the choice of choosing some of most ugliest characters ever seen in gaming history, but after that the hunter website is then your portal for getting various challenges, unlock trophies, view statistics, view the hunting map, or to find various tips and tricks on how to hunt. You begin your adventure by selecting your weapons, ammunition, lures and even canned smoke so you can tell which way the wind's blowing. After selecting a drop-point, the hunting experience starts. You can spend hours tracking animal droppings (yes, that is animal poo) and noises, or try to lure animals to your location, it's really up to you. But the feeling of successfully tracking a deer, even if it is about 3 AM in the morning, is fantastic; hours of watching for buck tracks, using my GPS system to analyze and locate the creature's last known location. 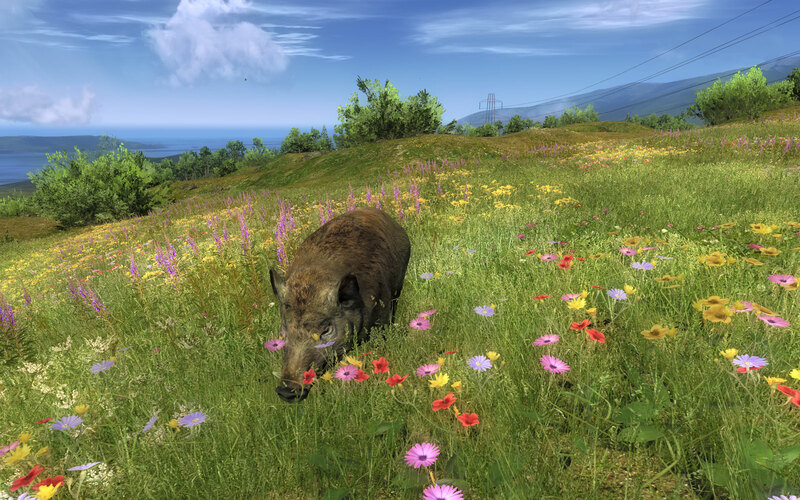 And when you finally see this wonderful animal, it just like watching an animal in real life, and it's a genuine experience that I haven't felt in a game ever before. Ok, now I have done the hard stuff of writing what is good, now it's time to do the easy part which is all the bad stuff. First thing I must bring up is that the website is very slow. 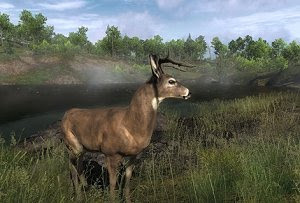 As I click on a little button it would take a while to load for me and if you want more licenses to be able to hunt more animals that costs real money, and the same goes for weapons. The other thing is the updating system. When I downloaded the game, it was a slightly older version so when I got it to update (which was understandable), what I didn't understand was why it had to download a whole new copy of it, which I found out is what actually happens. And I don't know if you would call this a negative, but more of an emotional part is when I was hunting a deer and shooting it, I thought it was dead but when I walked up when I had shot it with my rifle he was on the ground just looking at me and still alive. I felt like crying and saying "What have I done?". So I advise to shoot clean, straight and at the target with one shot if you don't like hurting animals in real life. But then this wouldn’t be the perfect game for you. 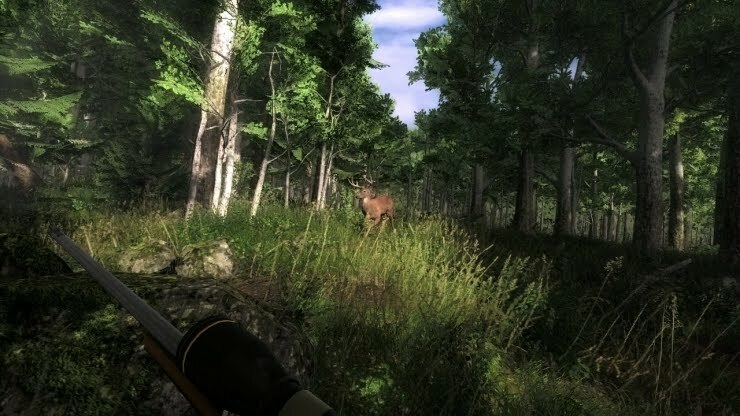 If you like hunting games you will love The Hunter, but if you appreciate video games and you’re not even interested in hunting games (like me), but you still have the patience, then trying to find an animal and not scare it away by making loud sounds can be an interesting experience.